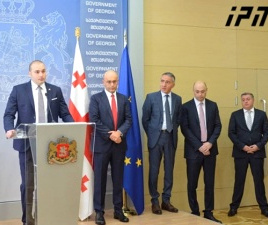 TBILISI, DFWatch–President Giorgi Margvelashvili has turned down a request by the ruling party to call an unscheduled session of parliament in order to adopt the new Constitution, citing the threat of one-party rule. 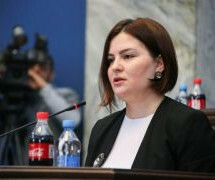 “The president will not convene an extraordinary session,” Ana Dolidze, president’s parliamentary secretary, said on Monday. “The project has been hastily developed and it does not follow the recommendations of the Venice Commission. As a result, we are being given a one-party document. In addition, the draft [Constitution] does not provide even the basic balance between the branches of government and therefore creates the threat of one-party rule,” she said. 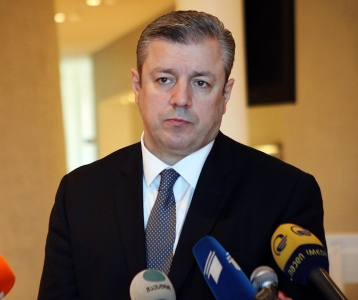 However, Dolidze acknowledged that in a situation when the ruling Georgian Dream enjoys an overwhelming majority in the parliament, it won’t hamper its drive to adopt the new Constitution. “This is the political act of the president because, according to the Constitution, the majority can convene [a session] in 48 hours,” Ana Dolidze said. This implicit threat by the president to use his veto elicited another wave of criticism by Georgian Dream members. 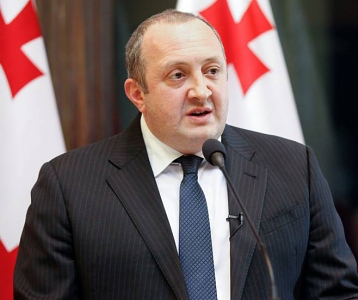 Parliament’s speaker Irakli Kobakhidze called the move as another example of the president’s disrespect toward the parliament. He rejected the claim that the new draft does not take into account the Venice Commission’s recommendations and claimed that almost all provisions have been praised by the Council of Europe experts, including the switch from direct to indirect election of president. 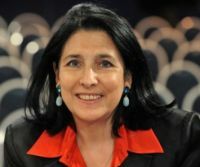 “The Venice Commission does not share any of the president’s remarks, including the norms of presidential elections – the Venice Commission liked indirect election of president; The Venice Commission does not have any remarks regarding the president’s powers; also, there are no remarks concerning the cabinet; there are no remarks regarding disbanding of the Security Council,” Kobakhidze said. On Friday, the Venice Commission published an overall positive assessment of Georgia’s latest constitutional reform, but the Council of Europe experts expressed their concern about the lack of consensus among the country’s largest political parties. The speaker of parliament has asked the president to convene an extraordinary session on Tuesday, September 26, but it seems the session will be held by the weekend. All opposition parties rejected the new draft, but the ruling Georgian Dream possesses enough seats in the parliament to adopt the new Constitution unilaterally. Most likely, the president will then veto the Constitution but with its super-majority the ruling party may then overturn his veto, as it has done in the past.